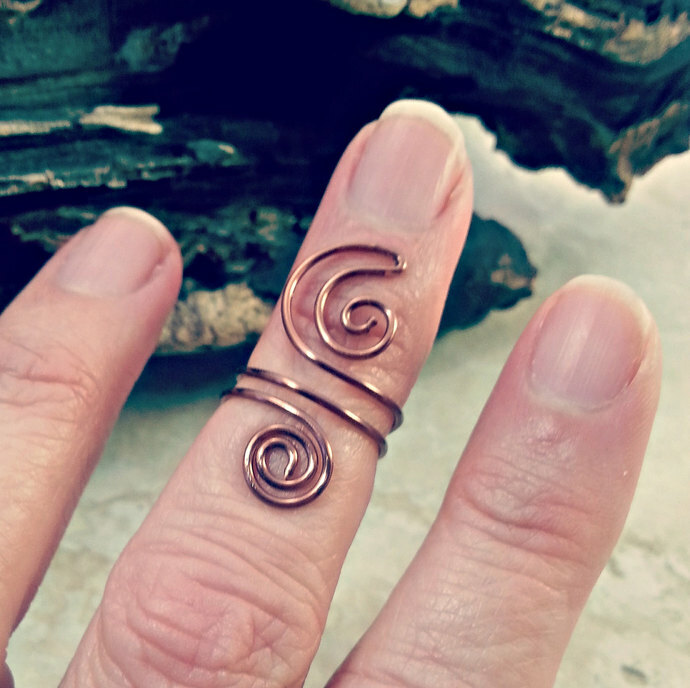 Adjustable midi ring with waning crescent moon and Celtic spirals. 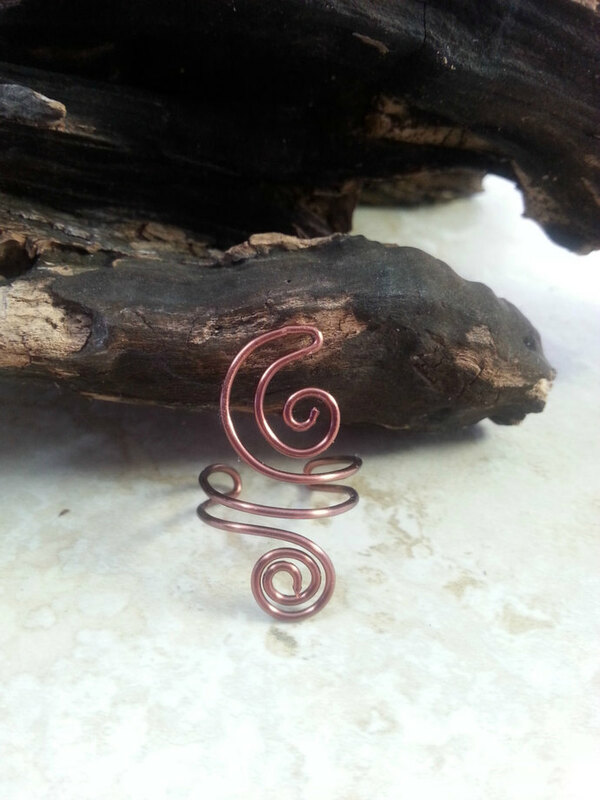 Shown here in antique copper, also available in silver, gold or black nickel-free non-tarnish wire. 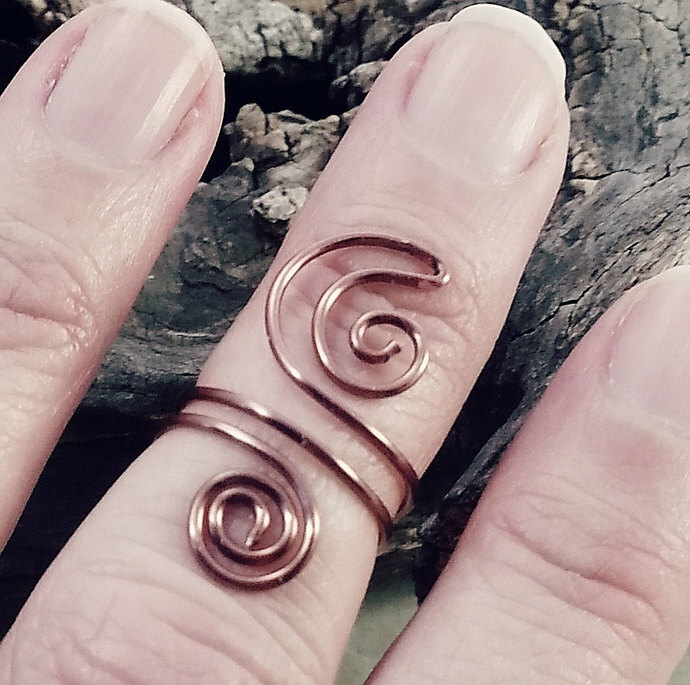 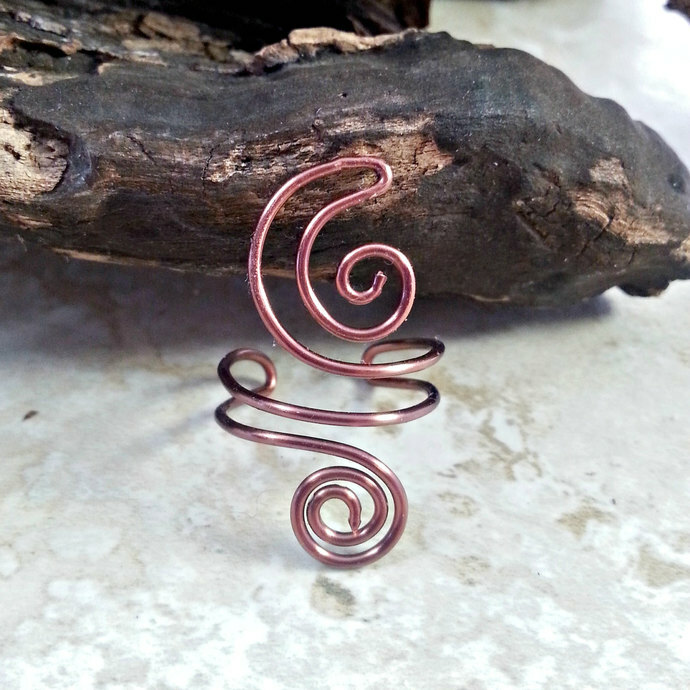 Note on sizes- this ring is adjustable and will fit a few sizes above and below the size you designate.